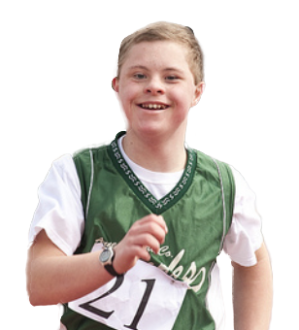 For more than 15 years, Toys“R”Us and the Toys“R”Us Children’s Fund together have supported Special Olympics and the littlest athletes, primarily through grant funding to advance the Young Athletes™ Program. In 2015, Toys"R"Us significantly expanded its ongoing partnership with Special Olympics with an initiative centered around #MyFirstSportsMoment. Through a $1.25 million commitment from the Toys"R"Us Children's Fund, the company served as a Games Level sponsor of the 2015 Special Olympics World Games, held in Los Angeles, CA. The Toys"R"Us Children's Fund also awarded a $500,000 grant to Special Olympics to aid in the five-year plan to strengthen and expand the Young Athletes Program in the U.S. and around the globe. As part of the partnership expansion, a recent fundraising campaign raised more than $2 million. Toys"R"Us was a Founding Partner of the 2014 Special Olympics USA Games held in New Jersey through a $1 million grant from the Toys"R"Us Children's Fund. Additionally the company served as the Presenting Sponsor of the first-ever Young Athletes Festival, which debuted at the 2014 Games. Since the partnership began, donations from Toys"R"Us, Inc., the Toys"R"Us Children's Fund and customers have provided $5.3 million to Special Olympics.